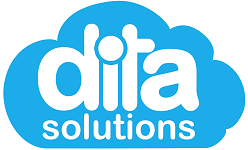 dita Solutions provide cloud-based compliance and training management solutions. Based in Brisbane, dita Solutions provide cloud-based compliance and training management solutions. Today’s business are exposed to a wide range of risks, which is why Workplace Compliance has become a major consideration for owners and business managers. Ensuring 100% compliance not only promotes a safer work environment, but also helps satisfy the increasing regulations and standards set in place by relevant authorities. The dita Platform has grown to become a powerful system for business operators to reduce or eliminate their exposure to risk in the workplace. The solution offers a comprehensive suite of tools, hosted in the cloud, that cater for Staff Training, Inductions, Automated Compliance, Compliance Management, Competencies, Contractor Management and Professional Development. This SaaS (Software as a Service) model is a solution built on solid foundations, designed to be flexible with the ability to expand quickly.